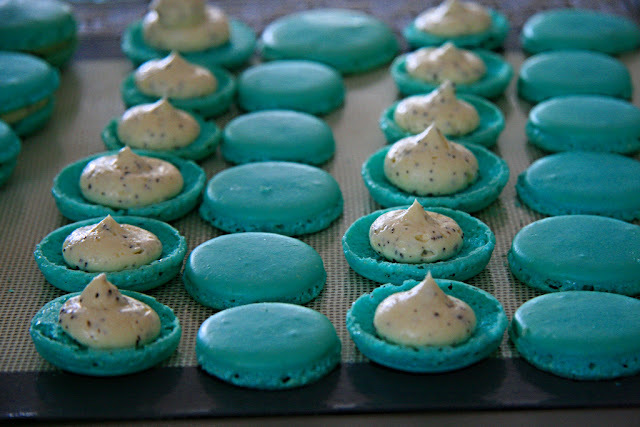 As you may recall one of my Food Resolutions for the 2016 year was to cook recipes from the Duchess Bake Shop cookbook. 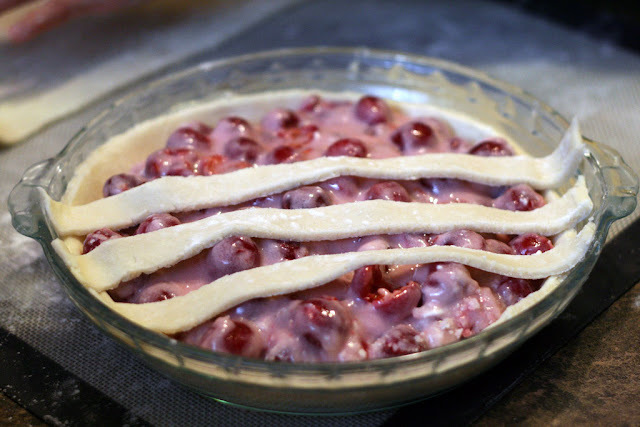 Over the past year, one of the recipes I have enjoyed making is Sharileen's Sour Cream Cherry Pie Recipe from page 159. 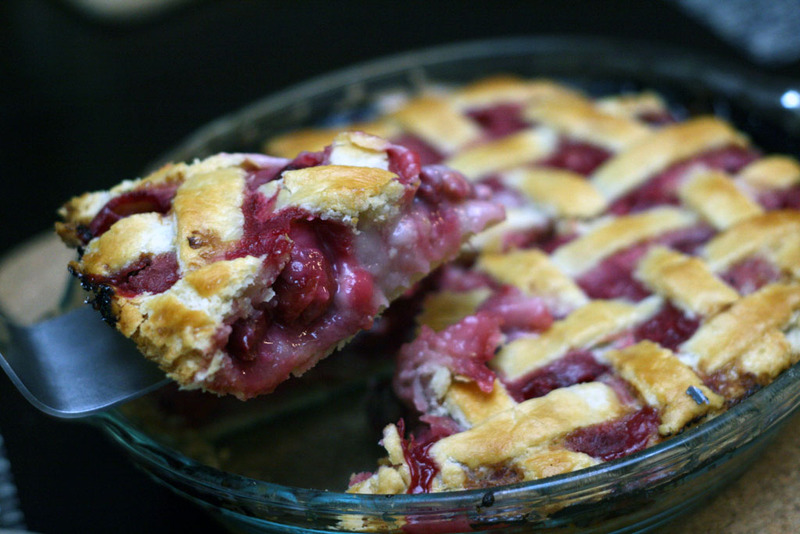 This pie has a super flaky crust mainly due to the addition of butter as well as lard. I like how Duchess' recipe uses a stand mixer, so all you need to do is mix the ingredients at slow speed with the stand mixer. The key is to ensure there are still small chunks of fat in the resulting pie dough. 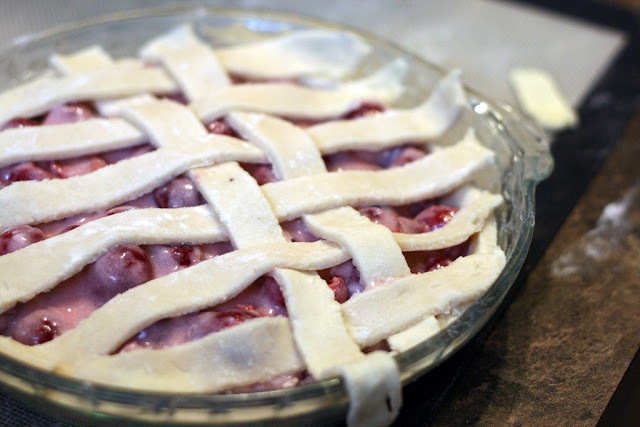 In the past, I used to find sour cherry pies as too sour, but this one has good balance between the sour and sweet and as the saying goes: when life gives you sour cherries, you make sour cherry pie! 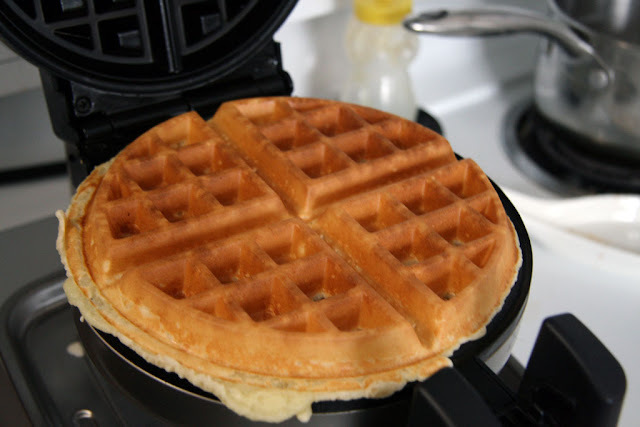 There are only a few ingredients needed for the filling. 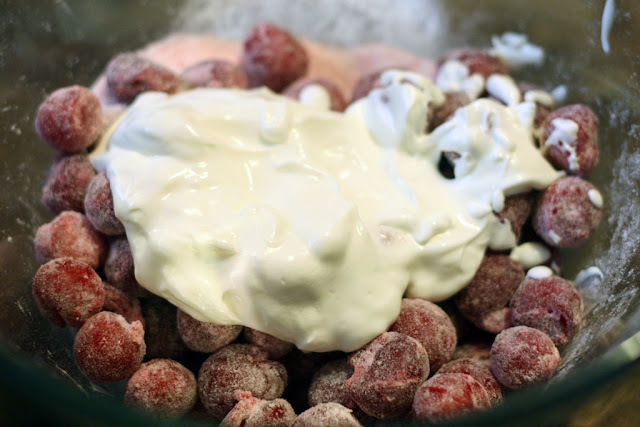 Just sour cherries, sugar, flour and sour cream. We actually had a a substantial amount of sour cherries that were given to us by Michelle (The Tiffin Box) that we had pitted and froze in our freezer, so this was the perfect opportunity for us to use some of those cherries. 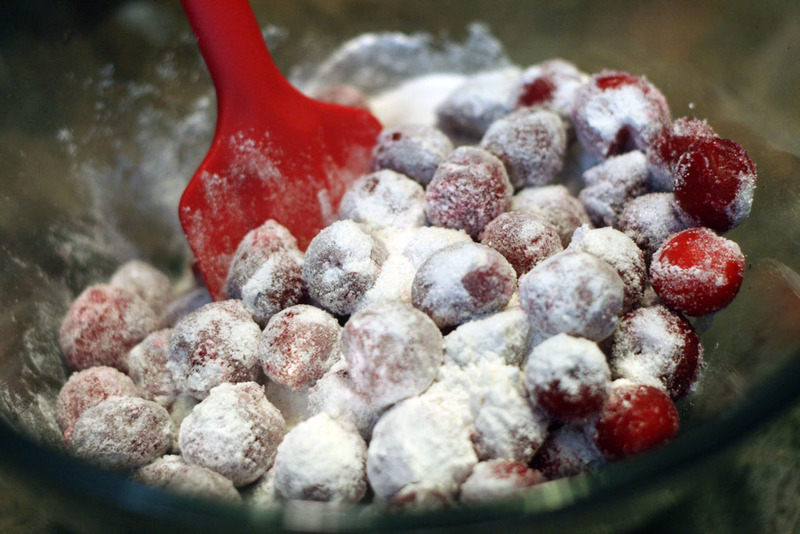 Because we used frozen sour cherries I added a tablespoon more of flour to this particular filling. 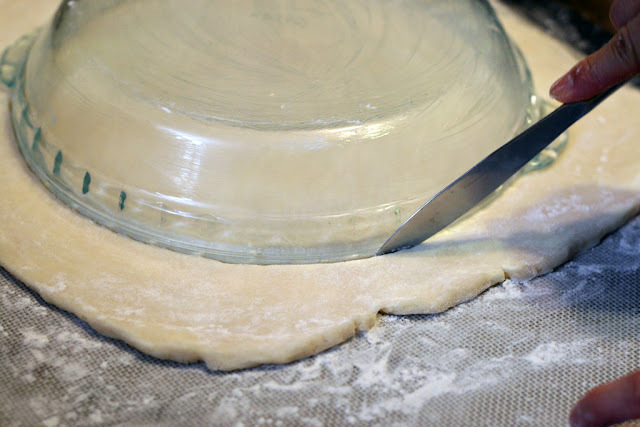 When it came to making the pie shell, I was thankful that I had a heavy marble rolling pin to help roll the pie dough out. 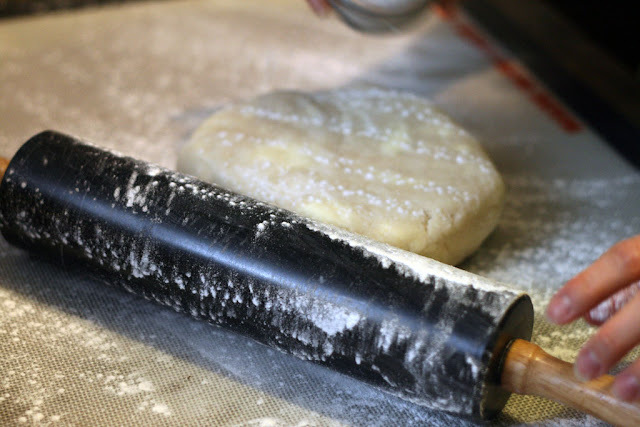 In the past we have used a wooden rolling pin, but that results in way more pressure on the arms and wrist. If you don't have one already, I would highly suggest getting a heavy rolling pin for baking all sorts of pies, tarts or even croissants! 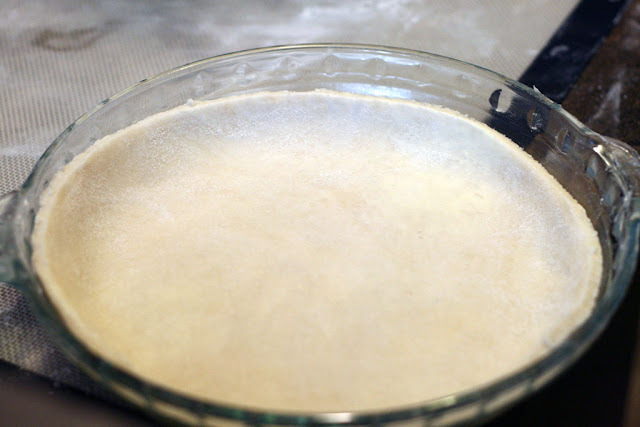 The pie dough recipe in the Duchess' cookbook makes a double batch, so I usually freeze the other half for later. 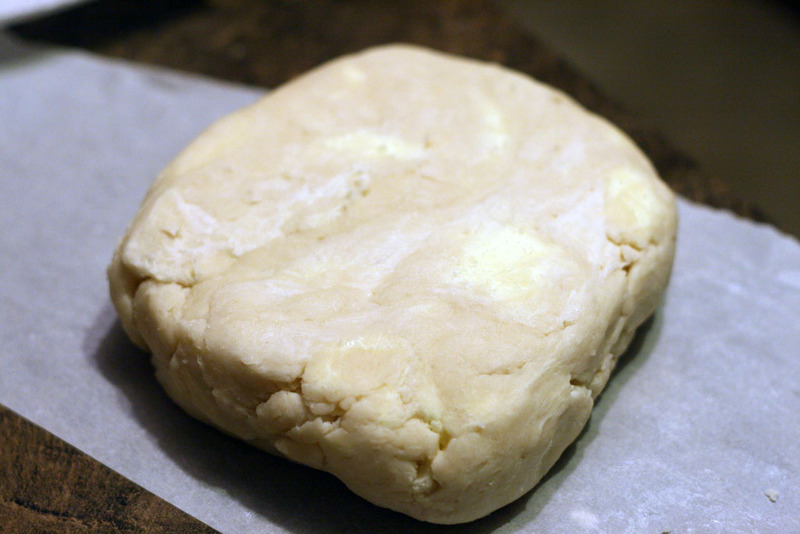 I rolled out the pie dough to about 1/2 cm thick. I flipped the pie plate that I was using and cut around the edge of the pie plate; leaving about 2 inches around. 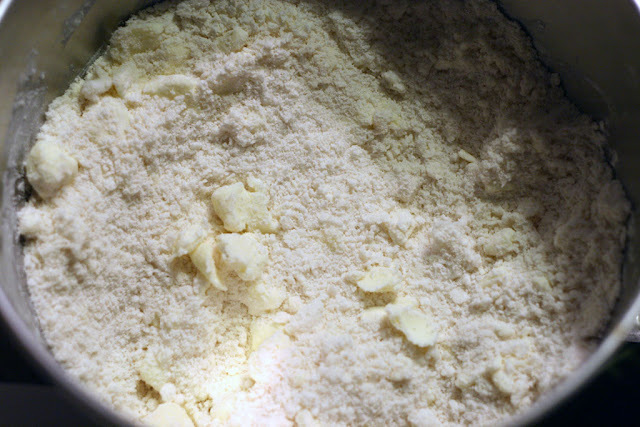 The rest of the pie dough can be used for the topping. 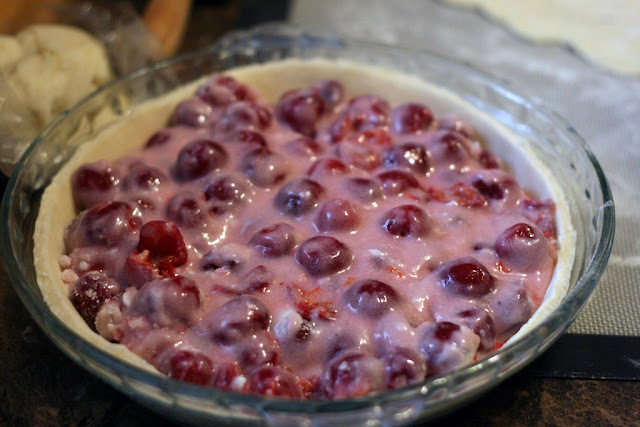 Next, I gently poured the sour cherry filling into the pie. Using a spatula I flattened the filling so that it just barely filled the pie. 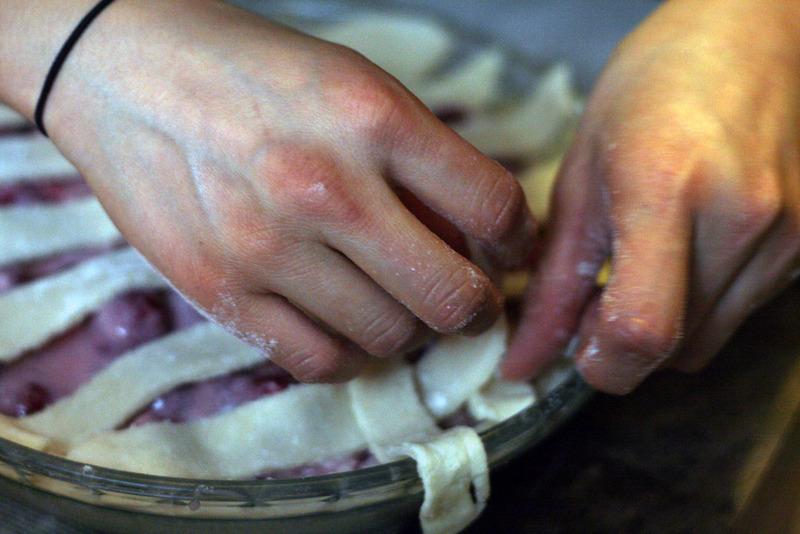 I followed the instructions for how to finish the pie by first cutting strips from the remaining rolled-out dough. 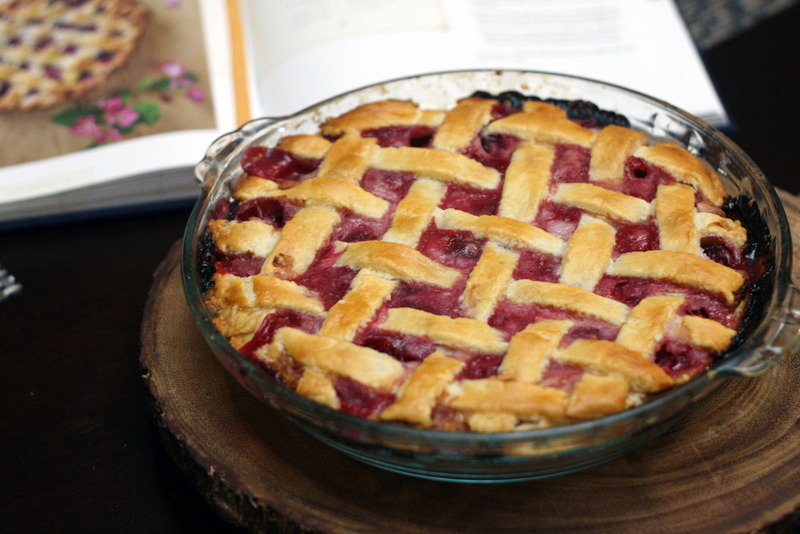 In the Duchess cookbook there are instructions on how to make a lattice-top pie. I followed most of the instructions but made this particular one with a basketweave pattern by going under-over on each strip. 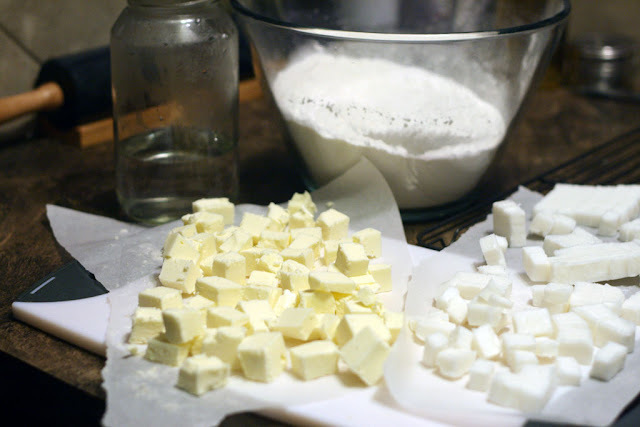 After brushing the pie with egg wash (1 egg white with a bit of cream - I used milk), sprinkle the top liberally with sugar. 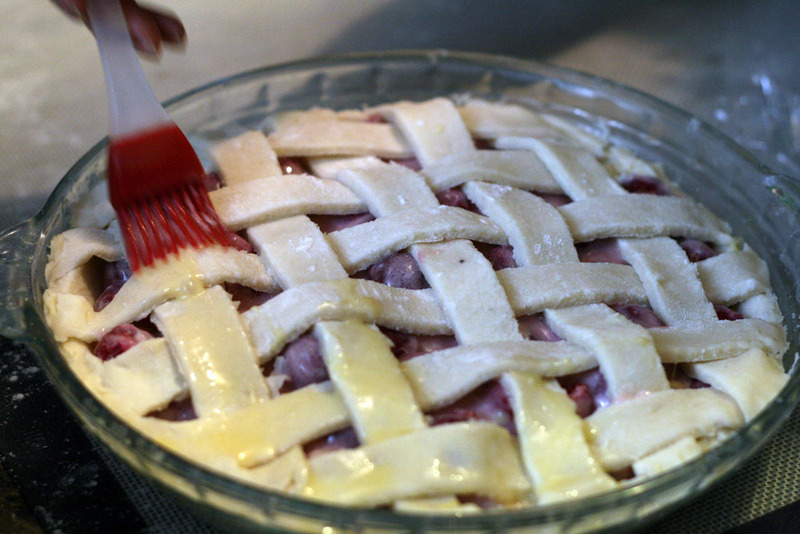 The pie bakes at 375F for 70-75 minutes. I typically pop the pie into the oven right before we sit down for dinner so that the pie is finished baking shortly after dinner is done! 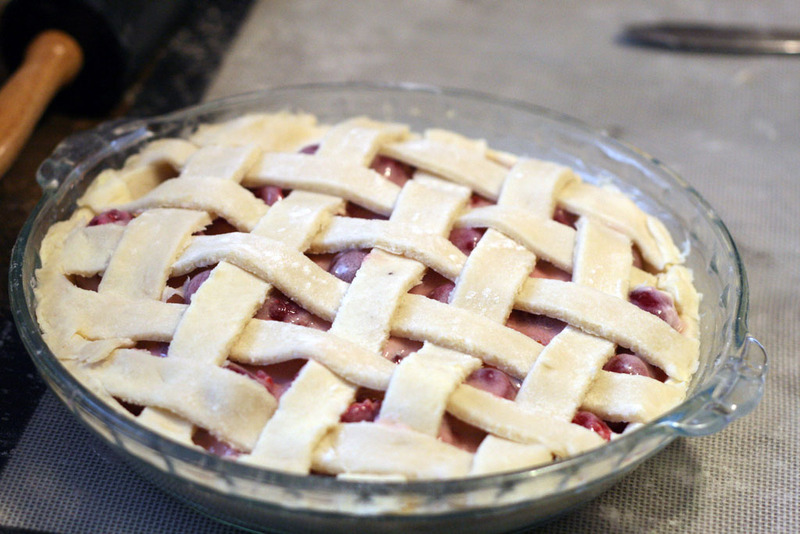 I really enjoyed how easy it is to make this pie. The pie dough is super forgiving. Just trust your instincts and work the pie dough into a circle and then cut it out and place into the pie pan. Honestly, I have certainly overcome my fear of making pies over the years by just making more pies. 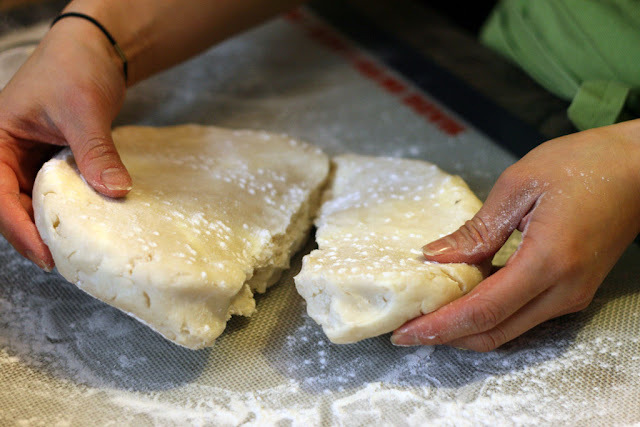 Try your best not to overwork the dough. 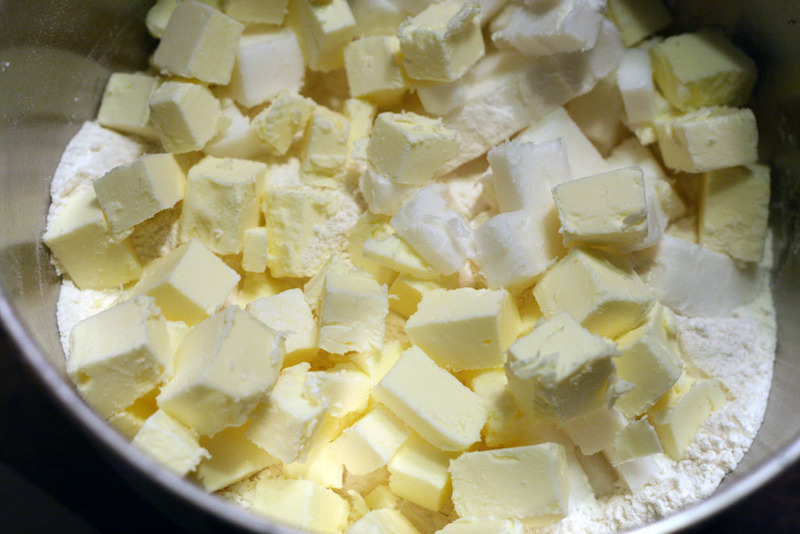 The more you work it, the less flaky it potentially becomes as the butter and lard begins to melt.